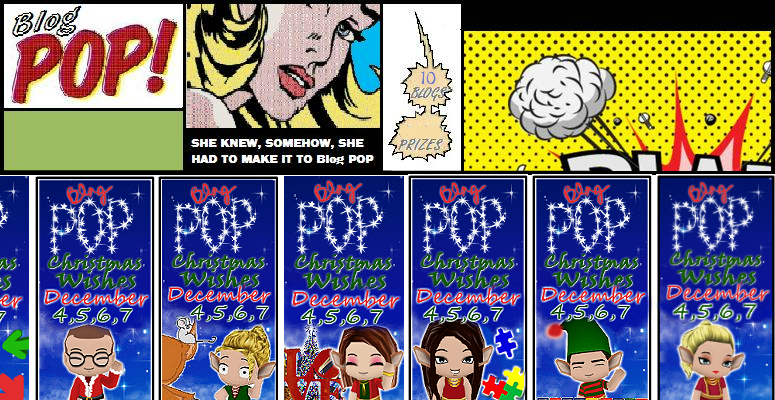 Kicking off December 4th, and running through December 7th (giveaways running through December 23rd) is Blog POP! 's annual Christmas Wishes giveaway event. Don't celebrate a Winter holiday? No worries, this event is still for you- whether you're celebrating the first snowflakes to hit those fir leaves, some extra time to gather with your family, or simply the return of the Pumpkin Spiced Latte, we have a prize to tempt you. All 10 unique Blog POP! blogs will be bringing a minimum of one exciting $40+ value giveaway each day for three days. Visit one of the hosting blogs to follow along with the Giveaway LINKY, and be sure to enter daily to maximize your chances. awww what a lovely giveaway! Totally love this! My best and warmest Christmas wishes to you and your family. Have fun and have a happy holiday! Thanks for nice post! Merry Christmas Wishes to you all!